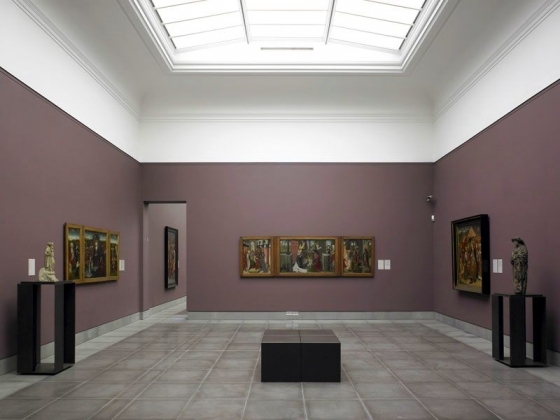 The Flemish primitives collection in the holdings of the Museum of Fine Arts Ghent came in large part into existence under the impetus of the Friends of the Museum. This association of friends, established in 1897, was able to secure a number of especially high-quality panels already before WWI. The Ghent art critic and professor George Hulin de Loo, vice-chairman of the friends' association, played a decisive role in many of these purchases. This dealt primarily with religious works from the Southern Low Countries. 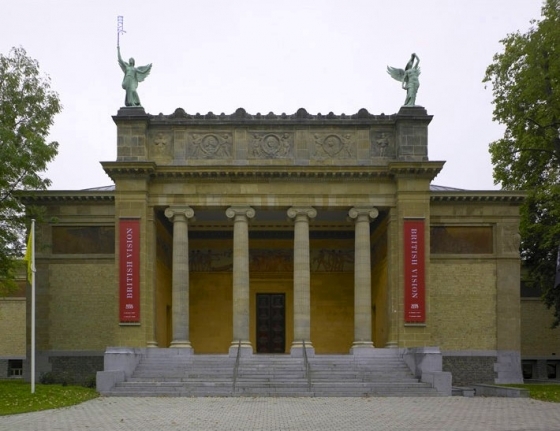 The collector Fernand Scribe, a Ghent Maecenas and founder of the association, had for his part an eclectic taste in which the medieval art was well represented. The legate that he left to the museum in 1913 contains, among others, some late-Gothic sculptures from the time of the Flemish primitives. The Flemish primitives collection includes only in a few cases paintings coming from old Ghent collections and houses of worship. Generally the works of art were obtained in the art market. From the interbellum on, this collection was supplemented by significant works.